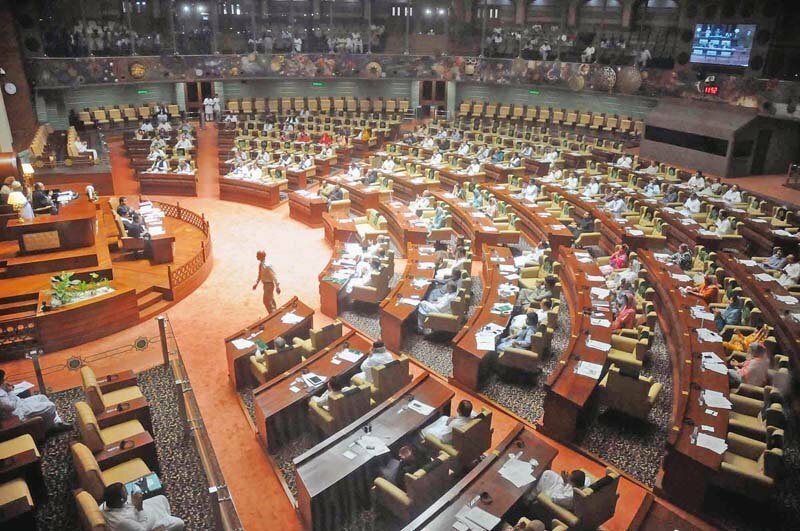 The TTP is appare­ntly not able to fund its operat­ions for the want of money. 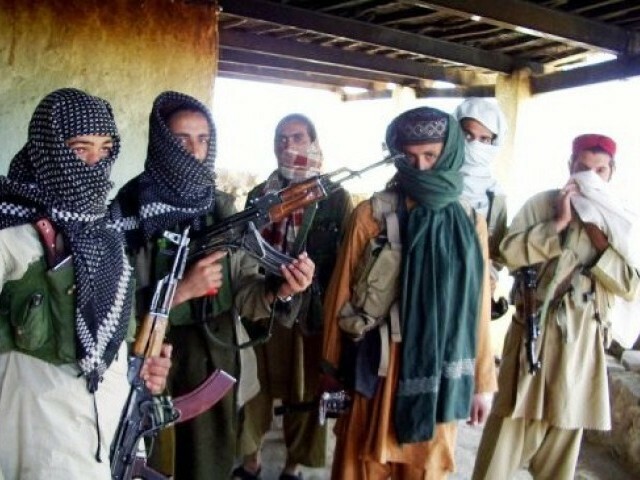 ISLAMABAD: The Tehreek-i-Taliban Pakistan (TTP) is facing a serious financial crisis since its slain founding leader Baitullah Mehsud combined several scattered groups from all over the tribal belt to form the most feared terror network of homegrown militants back in 2007. “The Taliban have seriously run out of funds…they have hardly any money anymore,” at least three associates of the group said amid a surprising halt in their activities – suicide bombings and terror attacks across Pakistan and in parts of Afghanistan – in recent months. Also mysteriously silent are long-cannoned guns from the artillery of Pakistani military that is involved in an operation against the TTP in their South Waziristan stronghold since 2009. The TTP is apparently not able to fund its operations for the want of money, the group’s members told The Express Tribune. “The group is in a fix even to keep its infrastructure comprising several thousand foot soldiers and a huge fleet of vehicles,” the members added. “It seems the money has just stopped coming to them. All the avenues which they used to get funds through are not working for some time now,” one of the three said, describing how difficult the survival has been for the group. In Islamabad, top officials in the military also confirmed the TTP was now in a multiple crisis — fund shortage, numerous defections and loss of strongholds across the mountainous border regions. The officials claimed credit for the military for this, saying it was due to tight controls the Pakistan Army had put in place that the militants were not getting funds. “The Taliban are running out of money because they are surrounded from all directions,” one of them said, referring to a blockade of the area by the military. Though an army operation against the TTP led by Hakimullah Mehsud started in October 2009, the military had thrown a cordon around the stronghold of the fugitive group several months ahead of that. And that arrangement was still intact, leaving no or very little chances for anybody from outside to reach them with arms or money. An official in the intelligence agencies said another reason for the shortage of TTP funds was the blows the Arab al Qaeda had faced in the region because of a concerted campaign against them by the US forces stationed in Afghanistan. “Al Qaeda is on the run now…most of the private Arab money to the TTP used to come through them. That has evaporated now,” the official added. Drug money from Afghanistan is also not coming in a big way after tight controls by the US-led forces on the border following their operations against the Afghan Taliban in Helmand and Kandahar. Last year a senior US general claimed the Taliban (Afghan) are facing a ‘financial crisis’. “We believe that the local insurgency here within the province has less than one half of what they had last year in operating funds,” The Telegraph quoted Major General Mills as saying citing ‘sensitive intelligence’ reports. “Definitely, if the poppy cultivation in the south of Afghanistan is controlled, it will result in less money for the Pakistani Taliban,” one official commented. Official here are also interpreting the execution of Col (retd) Amir Tarar commonly known Col Imam by the Taliban led by Hakimullah Mehsud as a step taken in utter desperation. Imam was the former official of the Inter Services Intelligence (ISI) who trained most of Afghan Taliban, including their supreme leader Mullah Omar in the ’80s and ’90s. “By killing him (Imam) a year after he was kidnapped, they might have given a message to the families of other people in their custody…and the bottom line is that they need money and need it desperately,” one official explained. The Taliban, however, said they killed Imam because he staged the killing of hundreds of their Afghan counterparts some two years ago. Published in The Express Tribune, February 28th, 2011. Poet, historian and archeology expert Mohammad Pervesh Shaheen stands tall in every respect. "If (Pakistani) rulers hand him over to America then we will target these rulers" says Taliban spokesman. A video released by TTP seems to have put to rest debates about the fate of two men: Hakeemullah and Col Imam. Arab world is not the only one involved with TTP , then how did the TTP militants got Russian and Indian Weapons ?? (Both Via India). The Southern Arab world is involved in funding, because they dont want Baluchistan (Gwadar) to prosper, because prosperity of Gwadar means loss of business for Dubai , Abu Dhabi, Qatar and Oman. Its ironic that Pakistan is totally surrounded, the only countries with stake in development of Pakistan is China, India and to some extent Iran and Afghanistan. In which India and Afghanistan are being swindled by USA, because USA doesnt want China to gain power and its supporting India just to counter China, and Countering China also means blocking warm water access and Energy corridor of China both of which is VIA Pakistan. Pakistan as energy corridor can also benefit India. (IPI pipeline project), but under the influence of USA India backed out, (Nuclear power used as bribe here by USA). While Iran is stuck with its own problem. Pakistan has actually become the battle field of West (USA + Europe) and the East (China + Russia). If only our leaders had sought to support Russia instead of USA, or stayed non aligned like India. Things would have been different today. I commend the Pakistan Army for their bravery. The sacrifices of our soldiers shall not be in vain. Insha’Allah we will rise from the ashes as we always do. Islam is not a religion of violence, these terrorists use Islam for their own purpose. Where does it say you can kidnap for the cause of Jihad. The Wahabi and Qutub elements of the Arab world will never want Pakistan to rise as the greatest muslim power. The Largest Muslim Army in the world. And 7th amongst all world armies. The only Muslim Nuclear power. Possess one the largest River systems in the world. Some the largest gold, copper and coal reserves in the world, which if utilised can make us wealthier than these Arab nations. A rising number in educated youth. So many things really, our only downfall has been a lack of sincere leadership, motivated more by personal requirements over the country’s. But even that will change, we will rise. If you look at all the kingdoms and civilizations of the past you will realize that Allah only keeps them for a limited time. Whether it was Mongols, Alexander the great, the British or Russian empires they only lasted for a limited time period, before collapsing indiscriminantly. Dictatorships don’t last for long, Hitler, Mubarak, ben Ali, Gaddafi. Next will be Syria and Jordan. After that the House of Saud. Then we will change, a realization of sorts.